Last time we have discussed how parameter sniffing can affect the quality of generated execution plans. Today, I would like to talk about another aspect of plan caching, which is plan reuse. Plans, cached by SQL Server, must be valid for any combination of parameters during future calls that reuse the plan. In some cases, this can lead to situations where a cached plan is suboptimal for a specific set of parameter values. One of the common code patterns that leads to such situations is the implementation of stored procedure that search for the data based on a set of the optional parameters. Let’s look at the typical implementation of such stored procedure as shown in the code below. That code uses dbo.Employees table from the “parameter sniffing” post and it also creates two nonclustered indexes on that table. SQL Server compiles stored procedure at time of the first call when only @Number parameter was provided. Even though, the most efficient execution plan for this case is IDX_Employees_Number Index Seek operation, SQL Server cannot cache such execution plan because it would not be valid for the case, when @Number parameter is NULL. Therefore, SQL Server generated and cached execution plan that utilizes Index Scan operation, which is highly inefficient in case, when @Number parameter is not provided. In that case, SQL Server performs Key Lookup operation for every row in the nonclustered index optionally evaluating predicate on @Name parameter afterwards. Similar to parameter sniffing issues, you can address this problem with statement-level recompilation as it is shown below. SQL Server recompiles the query on every call, and therefore it can choose the most beneficial execution plan for every parameter set. It is also worth mentioning that the plans are not cached in cases where statement-level recompile is used. As we already discussed, query recompilation adds CPU overhead. That overhead can be acceptable in case of large and complex queries when compilation time is just the fraction of the query execution time and system is not CPU-bound. In that case, recompilation can even help producing the better execution plans, which would be generated based on the current parameter values, especially if table variables are involved. However, this recompilation overhead is usually not acceptable in case of OLTP queries that are called very often. One of the options you can use to address the issue is writing multiple queries using IF statements covering all possible combinations of parameters. SQL Server would cache the plan for each statement in the procedure. Listing below shows such an approach, however it quickly becomes unmanageable with a large number of parameters. The number of combinations to cover is equal to the number of parameters squared. In the case of a large number of parameters, dynamic SQL becomes the only option. SQL Server will cache the execution plans for each dynamically generated SQL statement. Remember that using dynamic SQL breaks ownership chaining, and it always executes in the security context of CALLER. You should also always use parameters with dynamic SQL to avoid SQL Injection. While most of us are aware about danger of using optional parameters and OR predicates in the queries, there is another less known issue associated with filtered indexes. SQL Server will not generate and cache a plan that uses a filtered index, in cases when that index cannot be used with some combination of parameter values. Listing below shows an example. SQL Server will not generate the plan, which is using the IDX_RawData_UnprocessedData index, even when the @Processed parameter is set to zero because this plan would not be valid for a non-zero @Processed parameter value. In that particular case, rewriting the query using IF statement would be, perhaps, the best option. Unfortunately, IF statement does not always help. In some cases, SQL Server can auto-parametrize the queries and replace some of the constants with auto-generated parameters. That behavior allows SQL Server to reduce the size of the plan cache; however, it could lead to all plan reuse issues we have already discussed. By default, SQL Server uses SIMPLE parametrization and parametrize only the simple queries. However, if database or query are using FORCED parametrization, that behavior can become the issue. Let’s look at a particular example and create a database with a table with a filtered index and populate it with some data, as shown below. For the next step, let’s run the queries that count a number of unprocessed rows in both SIMPLE and FORCED parametrization modes. 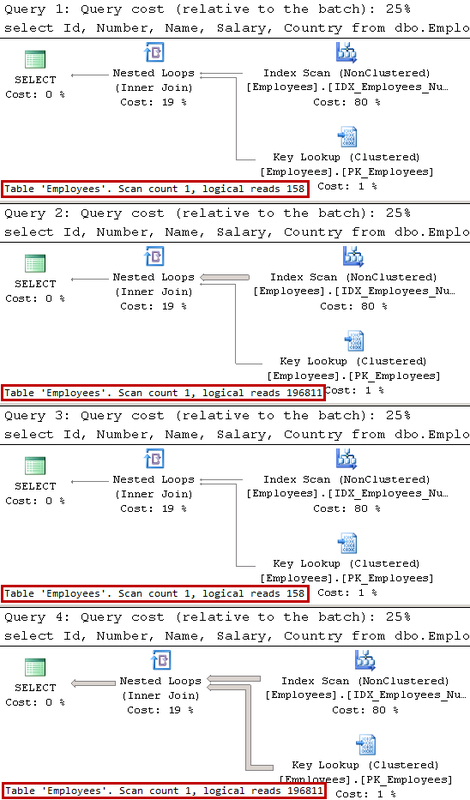 If you examine the execution plans shown in Figure 3, you will notice that SQL Server utilized a filtered index in the case of a SIMPLE parametrization. 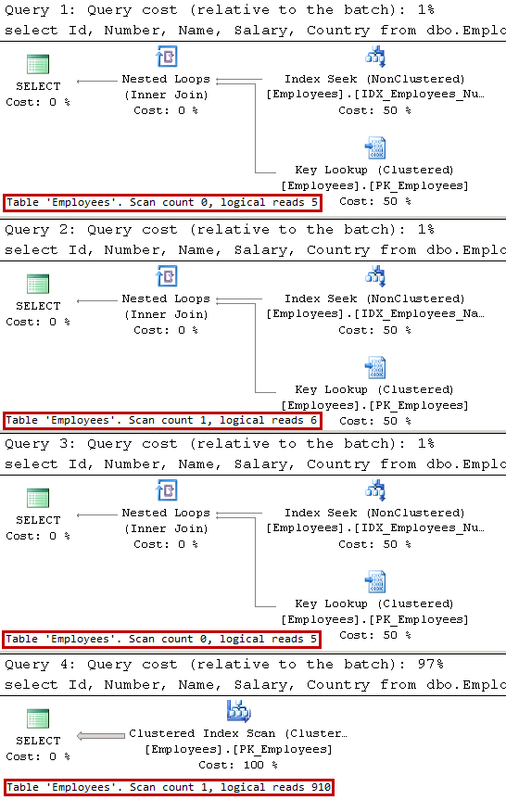 SQL Server can cache this plan because of the constant in the Processed=0 predicate. Alternatively, with FORCED parametrization, SQL Server parametrizes the query using the parameter in the Processed=@0 predicate. Therefore, it cannot cache the plan with the filtered index because it would not be valid for the case when a query selects processed (Processed=1) rows. 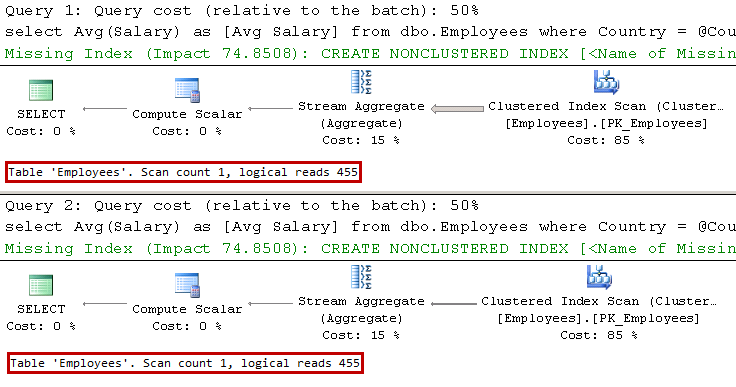 SQL Server generated the execution plan with a Clustered Index Scan, which is far less efficient in this case. The workaround in this case is using SIMPLE parametrization for the database, or forcing it on query level with plan guide (more on it later). In some cases, you would also need to rewrite the query and use one of the constructs that prevent parametrization in SIMPLE parametrization mode, such as IN, TOP, DISTINCT, JOIN, UNION, subqueries and quite a few others. Plan caching and plan reuse are the great features that help to reduce CPU load on the server. However, they introduce several side effects you need to be aware of and keep them in mind when you write queries and stored procedures. 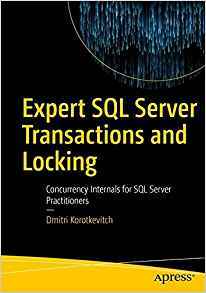 This entry was posted in SQL Server 2005, SQL Server 2008, SQL Server 2012, SQL Server 2014, T-SQL and tagged Filtered Indexes, Parameterization, Plan Cache, Plan Reuse on September 2, 2014 by Dmitri Korotkevitch. There are several reasons why it is beneficial to use parameters in the queries. It mitigates security risks by protecting from SQL Injection. Moreover, it helps with the performance. Query optimization is expensive and resource-intensive process. SQL Server reduces that cost by keeping execution plans in the special part of the memory called Plan Cache and reusing them on subsequent calls. Even though, this approach benefits the system by reducing the number of query compilations, it could also introduce some issues. Cached plans can become inefficient due to the data distribution and/or parameter values change. SQL Server tracks changes in the data by counting number of changes of the index columns outdating statistics and recompiling queries when number of changes reach about 20% of number of rows in the table (trace flag 2371 can reduce that threshold). However, tracking parameter values change is more complicated. When SQL Server compiles parametrized query or stored procedure, it analyzes parameters and generates execution plan, which is optimal for those specific values. This process is called Parameter Sniffing. Furthermore, generated plans are cached and reused regardless of parameter values at time of reuse. That behavior can lead to the situations when query is compiled and plan is generated based on atypical parameter set. Cached plan, in this case, would be suboptimal for the calls that reuse that plan. All of us experienced the situations when query or stored procedure suddenly became very slow even when they ran fine before. Parameter sniffing could be the reason of why it happened. SQL Server decided to recompile the query due to statistics update and the query that triggered recompilation had atypical parameter values. Even though, generated execution plan was efficient for parameters at time of compilation; that cached plan is not necessarily efficient for the other queries that reuses it. Historically, parameter sniffing has the negative connotation in SQL Server community. It is used to explain why queries have suboptimal execution plans, like I just did in the previous paragraph. This is vastly wrong, however. Parameter sniffing is just the name for SQL Server behavior of analyzing parameters during query compilation. Let’s look at a few examples of parameter sniffing and discuss how to address the issues it can introduce. In this post, I am using the stored procedure; however, everything would work the same in case of parametrized queries. As the first step, let’s create a table dbo.Employees. We will populate it distributing data in the way that most rows have Country column value of USA with a few employees with Country value of Canada. Listing below shows the code. As a next step, let’s create a stored procedure that calculates the average salary for employees in a specific country. As you can guess, when we call this stored procedure with parameter @Country=’USA’, stored procedure needs to touch almost every row in the table and the most optimal execution plan is Clustered Index Scan. However, when we call the stored procedure with parameter @Country=’Canada’, the most efficient execution plan is Nonclustered Index Seek with Key Lookup operators. Let’s call the stored procedure twice: the first time with @Country=’USA’ and the second time with @Country=’Canada’, as shown below. As you can see in Figure 1, SQL Server compiles the stored procedure and caches the plan with the first call and reuses it later. Even though such a plan is less efficient with the @Country=’Canada’ parameter value, it may be acceptable when those calls are rare, which is expected with such a data distribution. Now let’s take a look what happens if we swap those calls when the plan is not cached. We will use the DBCC FREEPROCCACHE command, which clears plan cache (DO NOT RUN IT ON PRODUCTION SERVER). As I already mentioned, another instance when this might happen is with a statistics update that forces query to recompile. 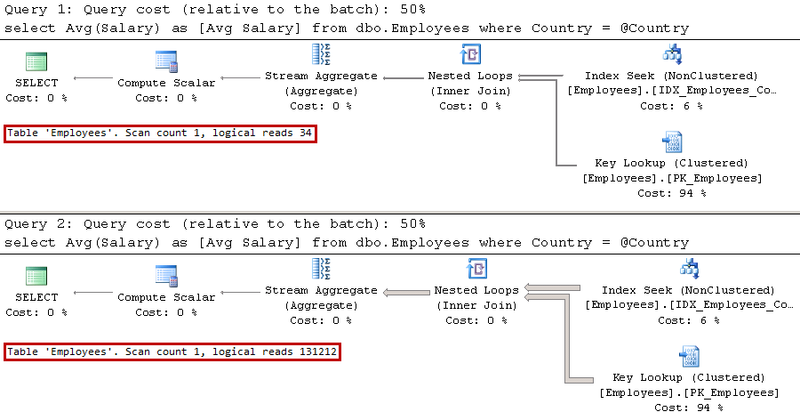 As you can see in Figure 2, SQL Server now caches the plan based on the @Country=’Canada’ parameter value. Even though this plan is more efficient when the stored procedure is called with @Country=’Canada’, it is highly inefficient for @Country=’USA’ calls. There are a few ways to address the issue. You can force the recompilation of either stored procedure using EXECUTE WITH RECOMPILE or a statement-level recompile with OPTION (RECOMPILE) clauses. Obviously, a statement-level recompile is better because it performs the recompilation on a smaller scope. SQL Server sniffs the parameter values at the time of the recompilation, generating the optimal execution plan for each parameter value. It is also worth mentioning, that statement-level recompile allows SQL Server to obtain number of rows stored in table variables, which can help to generate more efficient execution plans in some cases. As you can see in Figure 3, SQL Server recompiles the statement on every call, and it generates the most efficient execution plan for every parameter value. It is also worth noting that SQL Server does not cache plans for the statements when statement-level recompile is used. The statement-level recompile may be a good option when the queries do not execute very often or in the case of complex queries, when the compilation time is just a fraction of the total execution time. However, it is hardly the best approach for OLTP queries, which are constantly running in the system due to the extra CPU load that recompilation introduces. Another option is using an OPTIMIZE FOR hint, which forces SQL Server to optimize a query for the specific parameter values provided in the hint. Listing below illustrates such an approach. As you can see in Figure 4, SQL Server ignores the parameter value during the compilation and optimizes the query for the @Country=’USA’ value. Unfortunately, the OPTIMIZE FOR hint introduces supportability issues, and it can lead to suboptimal execution plans in cases where the data distribution has changed. Let’s consider the situation, albeit unrealistic, when a company and all of its employees moved from the United States to Germany. Statistics are outdated at the time of the update, which forces SQL Server to recompile the statement in the stored procedure. At this point, there are no rows in the table with Country=’USA’, and the recompilation produces a suboptimal execution plan, as shown in Figure 5. As a side note, the query uses more reads than before due to the index fragmentation introduced by the update. 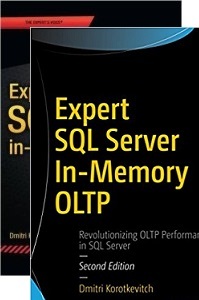 SQL Server 2008 introduced another optimization hint, OPTIMIZE FOR UNKNOWN, which helps to address such situations. With this hint, SQL Server performs an optimization based on the most statistically common value in the table. Listing below shows the code involved in doing this. Figure 6 illustrates the execution plan. Country=’Germany’ is the most statistically common value in the table, and therefore SQL Server generates an execution plan that is optimal for such a parameter value. You can achieve the same results with an OPTIMIZE FOR UNKNOWN hint by using local variables instead of parameters. This method also works with SQL Server 2005, where the OPTIMIZE FOR UNKNOWN hint is not supported. Listing below illustrates that approach. It introduces the same execution plan with a Clustered Index Scan, as shown in Figure 6 above. Finally, in case when you are dealing with 3rd party systems and cannot add optimization hints to the code, you could use plan guides to achieve the same goal. We will discuss plan guides in one of the future blog posts. 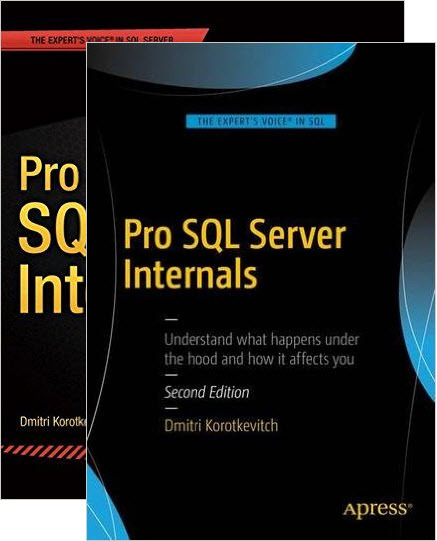 This entry was posted in Client Development, SQL Server 2005, SQL Server 2008, SQL Server 2012, SQL Server 2014 and tagged Parameter Sniffing, Plan Cache on August 5, 2014 by Dmitri Korotkevitch.